Africa's largest lake stitches East Africa together, from the rustic red earth of Uganda to the grassy plains of Tanzania and the mystical mountains of Kenya. Dotted across the water are exotic islands and private hideaways, places that provide an indelible charm after the rugged adventure of an East African safari. Where does Lake Victoria flow? Lake Victoria is all about serenity and we've enjoyed many relaxed days recapturing our breath here after a safari. The beach getaways are very accessible and we like how easy they are to incorporate into an itinerary. 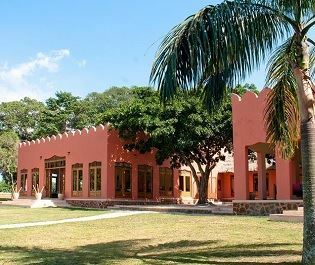 Lake Victoria is within easy reach of the Serengeti and Masai Mara, as well as being relatively close to the gorilla trekking destinations of Bwindi Impenetrable and Volcanoes national parks. Rather than having to fly all the way east to the coast, Lake Victoria offers a compelling dose of private island luxury. Exploring Lake Victoria in Uganda. We've found the contrasts to be remarkable wherever you're coming from. 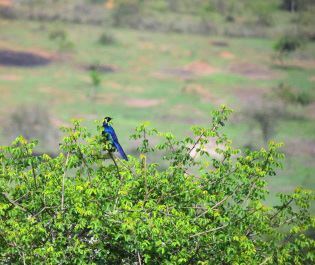 Uganda is red and green, the earth and the forest cascading into the blue of the lake. While the Ssese Islands are Uganda's more famous island escape, we prefer destinations like the Bulago Island, which are further to the east of the lake. 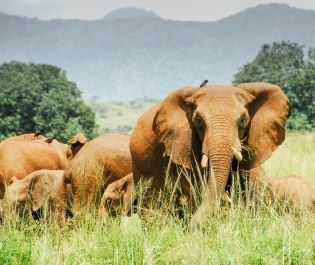 These are more exclusive and more in tune with a luxury safari. All of Uganda's islands are within a short boat trip from Entebbe, the country's main international gateway. 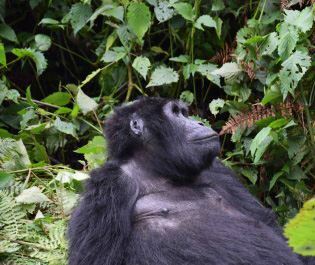 Gorilla trekking is an experience of a lifetime, and where better to see them than in Bwindi's luscious, dense forest. We always feel enchanted by Queen Elizabeth National Park, and the unique experiences that are waiting to be discovered within its verdant savannah. 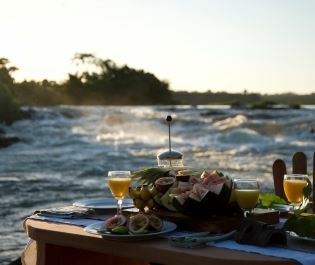 We have plenty of incredible memories of cruising past Murchison Falls, marvelling at baboons playing by the water's edge and watching the sun set over the Nile. 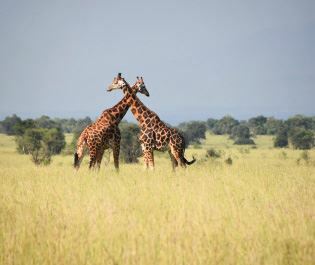 If you've been on safari before and fancy something completely unique, remote and exclusive, Kidepo Valley's sweeping landscapes are the place to be. 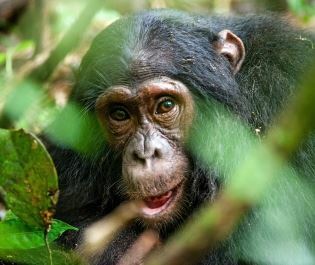 You'll hear the chimpanzees first, a crescendo of hoots and calls before finally coming face to face with these curious primates. Welcome to the magic of Semuliki. 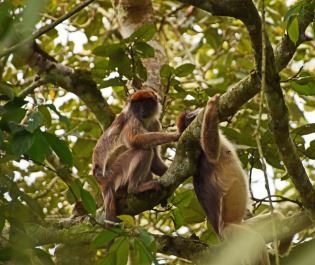 Meeting Africa's greatest primates is an experience we won't be forgetting any time soon. With exotic flora and gorgeous lodges, Kibale offers the perfect backdrop. 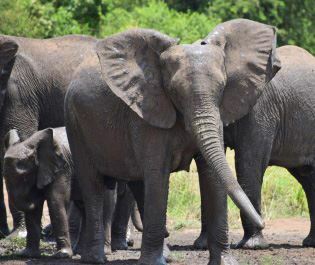 Lake Mburo is full of incredible wildlife, and equally as amazing ways to see them - from boat rides passing yawning hippo, to birdwatching by the lake. We love the sense of adventure in Jinja, whether you're horse riding through the rainforest, or battling the rapids whilst white-water rafting.